The MNI Wiconi Water Treatment Plant in Ft. Pierre, SD was built for the Oglala Sioux Rural Water Supply System between 1997 and 2002 with a grant provided by the U.S. Department of Interior. The plant, which treats water drawn from the Missouri River, supplies clean, quality water to a large portion of southwestern South Dakota, including one non-tribal and three tribal water systems. 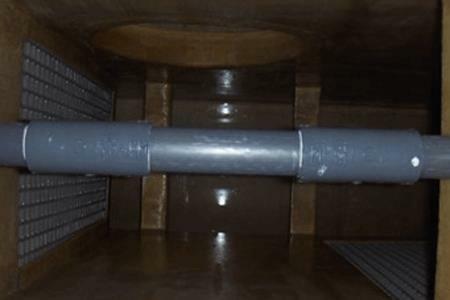 Integrity Municipal Systems was contracted to provide scrubber inspection and cleaning services in October 2014. Read the full case study to learn more.